The Xi® PowerGo GX Based on 8th Generation Intel® Core Desktop Processors 14nm, with 8 GT/s DMI and to 8MB Intel® Smart Cache. The Xi PowerGo GX gamer laptop supports the NVIDIA® GeForce® GTX 1060 with 6GB or GTX 1070 with 8GB or GTX 1080 with 8GB GDDR5X Video VRAM that drives an impressive 15.6 or 17.7" Full HD IPS LED Backlit Matte Type Display with G-Sync Technology screen at a resolution 1920x1080, Supports 3 additional Monitors (HDMI+DisplayPorts) in addition to the built in display. The Xi PowerGo GX is the first gamer laptop computer to offer true great performance for gaming users. Expandable to 64GB Dual Channel DDR4 2666MHz memory, up to two 7200RPM HDD, SSD 2.5" SATA 6GB/s and M.2 SSD storage drives with RAID 0 or 1 capable, this powerful portable gaming laptop can easily handle the most power-hungry gaming applications at comparable speed of its desktop rivals. HD Audio w/Sound Blaster Cinema, HD Video Camera, USB 3.1/Thunderbolt 3 USB-C, USB 3.0, HDMI 1.4a, DisplayPort 1.4, Wireless-AC + Bluetooth 4.0, 6-in-1 Card Reader, Full Size Programmable Illuminated Keyboard, simultaneous external monitor support and other advanced features available to make this notebook the perfect choice for the power user. 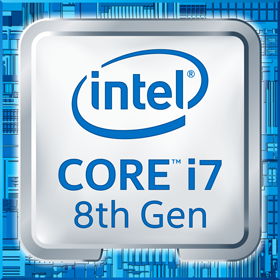 Up to 8th Generation Intel® Core i7-8086K and to 64GB DDR4 the only desktop replacement Laptop.